3 Bedroom Terraced House For Sale in Bedford for Asking Price £215,000. 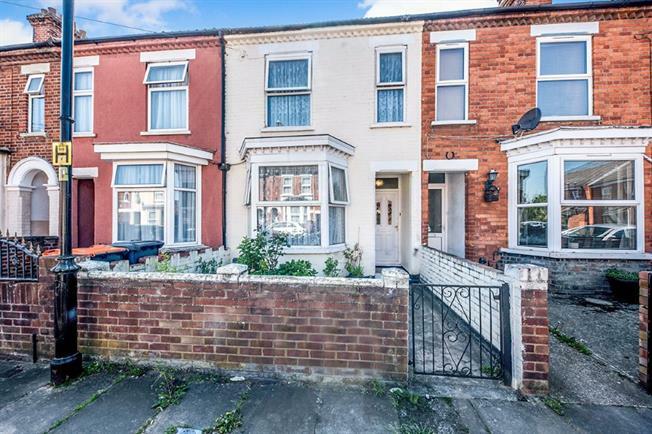 A well presented and EXTENDED three bedroom bay fronted terrace home on the south side of Bedford. The property benefits from an open plan lounge/diner, and separate breakfast room and a downstairs refitted bathroom. Benefits include double glazing, gas to radiator heating and a fitted kitchen. Upstairs there are three double bedrooms and a workshops/storage shed in the rear garden. The property is in within walking distance to Bedford Hospital. Stairs to first floor. Radiator. Door to dining area. Double glazed uPVC window facing the side. Roll edge work surface, built-in units, one and a half bowl sink. Door to Bathroom and rear garden. Courtyard style front garden with path to front door.